Taste and See: The Lord restores us and builds us up. The Collect on Sunday, the 18th Sunday of the Year, had us call on God for protection and care. It is a prayer of great simplicity and trust. A prayer for a people humble before their God. Collect Draw near to your servants, O Lord, and answer their prayers with unceasing kindness, that, for those who glory in you as their Creator and guide, you may restore what you have created and keep safe what you have restored. Through our Lord Jesus Christ, your Son, who lives and reigns with you in the unity of the Holy Spirit, one God, for ever and ever. We declare our need for restoration, for building up. Where are you getting flakey? Why will God answer your prayer? 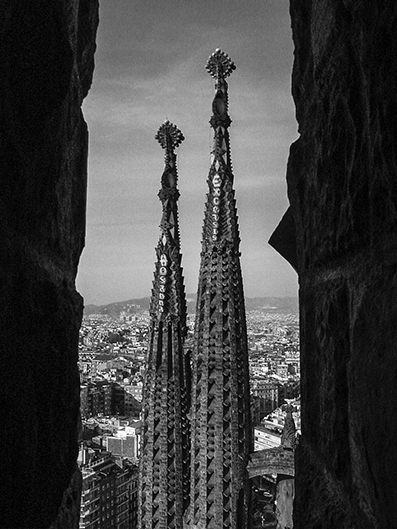 Photograph of Hosanna and Excelsis spires of church of Sagrada Famiglia, Barcelona. (c) 2003, Allen Morris.